least three kiln areas are known. 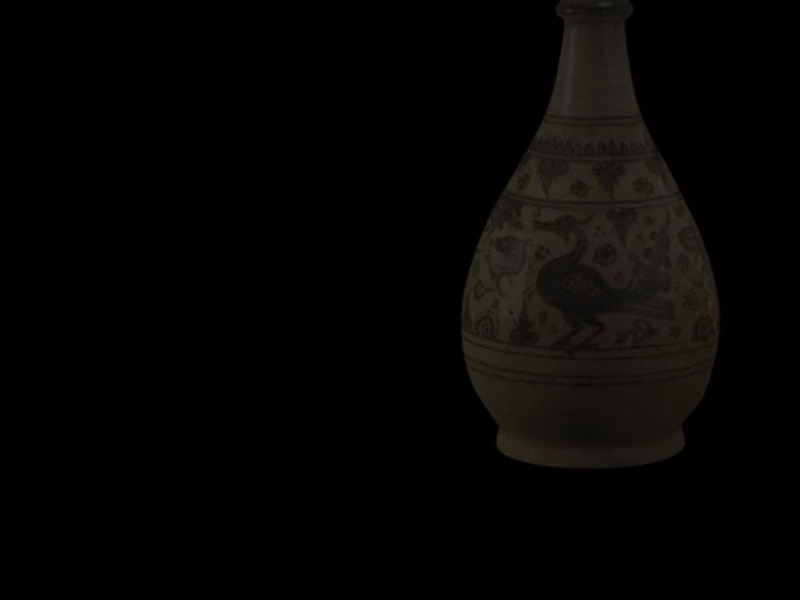 Some beautiful wares have been preserved in local wat. 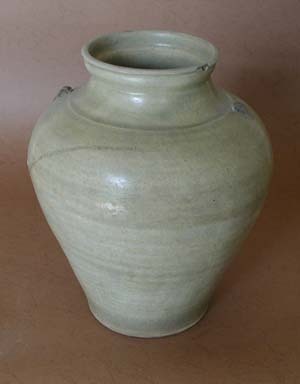 It is possible that Phayao was the original centre of high-fired glazed stoneware in Thailand in the thirteenth century, but this is only speculation. 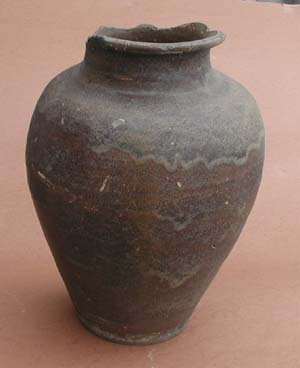 Many brown glazed jars have been found and some are shown here; they are probably Lanna, and possibly Phayao, wares although their provenance is not certain. 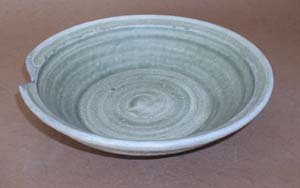 Celadon dishes, some with stamped decoration, are definitely from Phayao kilns, but many are remarkably similar to Sankampaeng or Pa Sard, Kalong wares. In the first edition of Northern Thai Ceramics (1981), I noted that the 'actual kilns could not be found'. In the second edition, published eight years later, I said that 'the kilns of Phayao have not yet yielded up their secrets'. 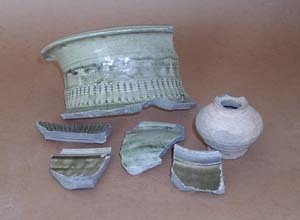 In 1997 Soukyu Kiuchi of'The Survey Group of South East Asia, Tokyo'published photographs of sherds found at Vieng Bua, south of Phayao: but still no actual kilns were known. 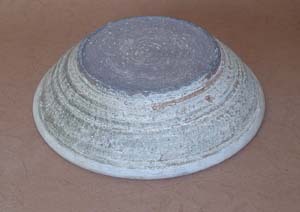 Now, at last, in the year 2007 the Phayao Campus of Naresuan University, as part of Ajarn Patama Smitasiri's social outreach project, has excavated, preserved and built a covered museum around a kiln and pit of wasters just outside the moat that surrounded the ancient Vieng Bua. 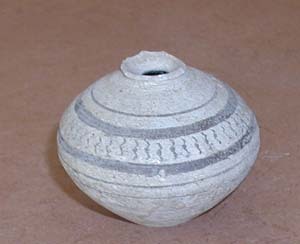 Sherds scattered in nearby fields indicate that there must have been several kilns - which appear to have been slab built in the style of those found at Kalong. 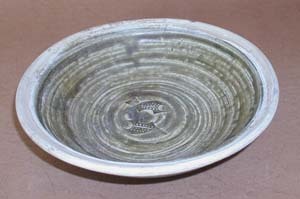 The majority of sherds to be seen are dark olive celadon dishes with stamped decoration of twin fish, horses,singha, elephants and floral motives in the mirror. 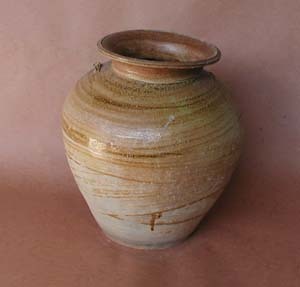 So, at long last,the existance of kilns at Phayao has been proved. But what and when was Vieng Bua? 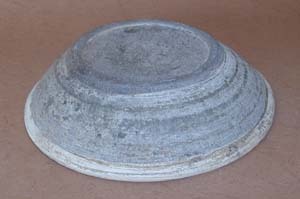 Was it the home of historical Phayao, There is still much to learn about a place that may prove to have been the cradle of all Thai ceramics.